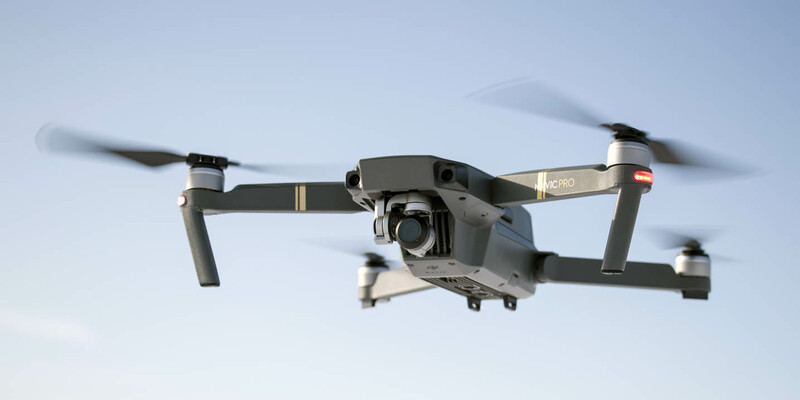 Mavic 2 has the potential to be my new favorite drone – but how can I possibly choose between the two editions?! The day drone nerds all over the world have been waiting for has finally come! Today DJI officially announced their second version of their awesome Mavic quadcopter. It is almost sad to say that my beloved Mavic Pro feels old and outdated already. The new aircraft come in two versions which are almost similar, but with one significantly different feature which makes it slightly more difficult to chose which one to buy. 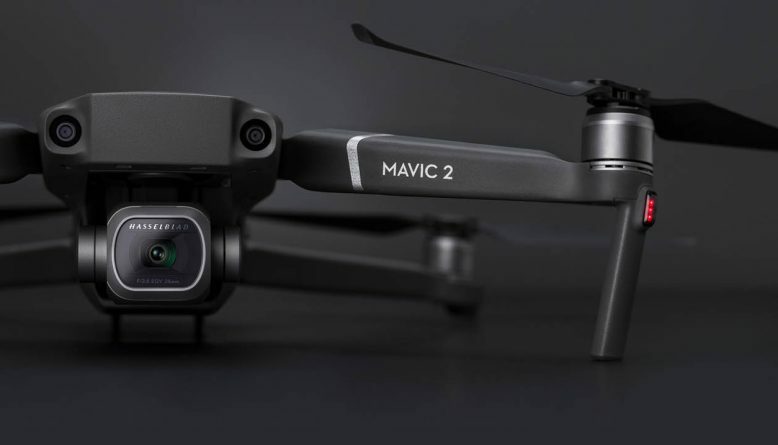 They are called the Mavic 2 Pro and the Mavic 2 Zoom and the slogan is See the bigger picture. I’ll talk about the differences in a bit, but I can with certainty say that these seem to become the best camera drones you can buy in the consumer market at the moment. The leaked images and brochure adds we have seen earlier this year seems to be legit. 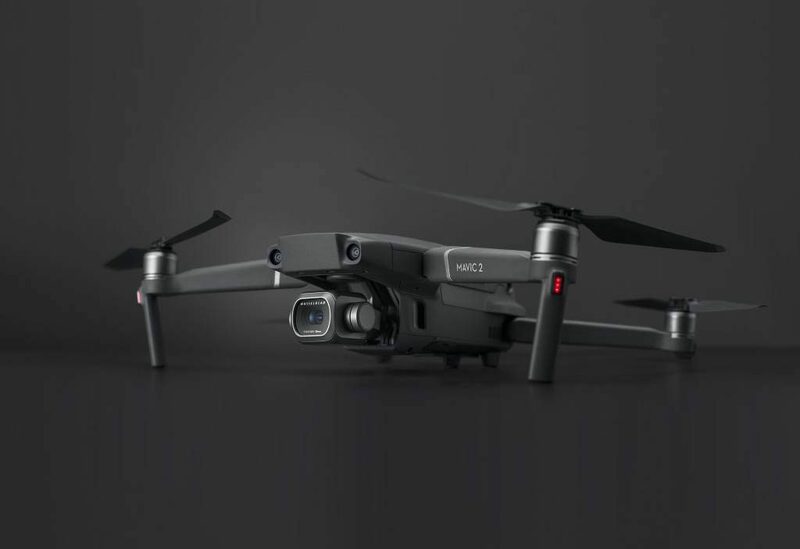 The new drones from DJI look the same as the pictures shared on Reddit, forums and other drone blogs. My initial thought of the pictures has always been that they looked legit. They were just too good. But it was impossible to know for sure if they were fake until today. This article covers my initial thoughts and summarizes what we know today. A proper DJI Mavic 2 review will have to come later. Both editions have its camera on a DJI well proven 3-axis gimbal system. They ensure smooth and stable video and sharp pictures even when it is moving fast, and the wind shakes the multicopter. I was very satisfied with the stability of the original Mavic Pro even if I sometimes experienced vibrations when I switched to the low noise propellers. The cameras look much more rigid than the camera on Mavic Pro that tends to break and come loose. I have been lucky and mine is still on, but I have read tons of stories about loose cameras. Maybe these new ones can handle a crash better as well? Personally, I think one of the coolest new features is the new obstacle sensors on all side of the aircraft. The time when your Mavic quadcopter crashed into a tree or wall because of sideways or backward movements is totally gone. There are two camera sensors in the front, two on the back, two underneath with an infrared sensor, one on each side AND one upwards facing sensor. Together with a powerful processor it makes the magic happen and keep the drone safe. It simply maps out an accurate 3d view of the environment even at high speeds so you can focus on framing the shot and spend less time worrying about a collision. The craft is not protected on all sides thou – there are blind spots for instance at the end of each arm. So keep an eye out for very tiny things. Both editions shoot MP4 or MOV video in 4K in 30fps with the well-known H.264 or the better H.265 compression. Effects like the advanced aerial Hyperlapse effect is now only a button away on both editions. Both editions let you create enhanced HDR photography with great dynamic range. I’m used to this with AEB, Automatic Exposure Bracketing, where I take 3 or 5 RAW photos in different dynamic ranges and combine them in Photoshop afterward. 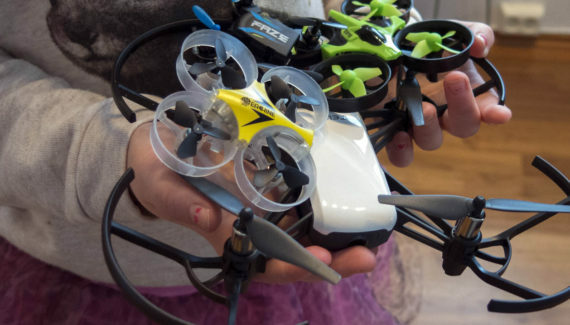 Both copters have the same compact body design made of grey, high quality, and durable plastic. The foldable arms that make it very easy to transport in a backpack or store. Basically what we are used to from the worlds best camera-drone manufacturer. Folded the drone is measured to be only 21 x 10.2 x 8.9 cm. Built up it measures 25,6 x 32 x 8,9 cm. It is a little bit heavier than the previous Mavic Pro’s. Both editions utilize the new, thin, aerodynamic low noise propellers for quieter flights with less high pitch noise. I’m a bit skeptic to these propellers due to vibrations, but I guess their thousands of hours of testing counts for something. The propellers are installed and removed in seconds. They have increased the battery life to an incredible 31 minutes. That is a long time in the air! The new max speed is 72 km/h in sports mode. Also a jump from the last edition. Perfect when you need to follow a fast-moving car, motorcycle, boat, jet-ski or downhill skier. The range has also increased significantly. The now claims that you can travel up to 8 km with a 1080p video signal. That almost sounds too good to be true. In areas with lots of interfering signals, the aircraft accommodates for automatic switching between 2.4 – 5.8 GHz. 8 GB built-in backup hard drive. New and improved flight modes. New remote controller in a grey color with detachable control sticks. (looks like the previous one). Better positioning of the ventilation holes. LED indicator lights on the front antenna legs and back arms for visibility. Night time landing light that automatically turns on. microSD slot on the bottom left. USB-c port on the bottom right. Incredible stability, also over water. Advanced safety and Return To Home (RTH) mode. They have managed to make a drone for the future with upped features through the whole line. What else can we want? So what is the difference between Mavic 2 Pro and Zoom? The obvious big and only difference is the new cameras which are better and have other properties. The 2 Zoom focus on zoom technology with its 12 megapixels 1/2.3 inch sensor that let you get 2 times closer with the lossless optical 24-48 mm lens. The field of view is between 83 and 48 degrees depending on zoom. The aperture is chosen automatically by the machine, between f2.8 and f3.8. DJI promises more efficiency, creativity, and safety when you can stand further away from crowds, shy animals, and cool photo opportunities far away. A new function called SuperRes lets you take incredible 48-megapixel photos. The 2 Pro has a brand new professional 20 megapixels L1D-20c Hasselblad camera for awesome image quality with a 1″ CMOS sensor. Just that that they have chosen to co-engineer the camera with Swedish Hasselblad make my mouth water! They know how to be on the frontline of new camera technology. The camera has an adjustable aperture lens (f2.8 – f.11) for better control over lighting conditions and depth of field. In addition, the drone supports the amazing 10-bit Dlog-M color profile for stunning colors and much higher dynamic range. The image resolution is 5472 x 3648 and the files are saved in either JPG and/or DNG RAW. The field of view is 77 degrees at 28 mm. It doesn’t seem that it is possible to easily change out the camera, which would probably be the best solution for the consumer. Another disadvantage is that the cameras can not look up. Which one will I (and you) choose? My conclusion is that it comes down to one thing …. Are you more interested in creating stunning videos or taking awesome photos? Will you use your drone for film or photography. Are you a videographer or a photographer? I think that DJI has created the Mavic 2 Zoom for video and Mavic 2 Pro for photography. The Zoom lens with auto-focus tracking opens up for awesome cinematic effects and tight shot at 48 mm – hundreds of meters away, DJI claims. Cool effects like Dolly zoom, warped perspective, are now easy to create. The quadcopter version with Hasselblad camera is obviously suited for photographers. But I’m struggling to chose – the Super-resolution feature perfect for photography is available only on the Zoom. So what will I choose? 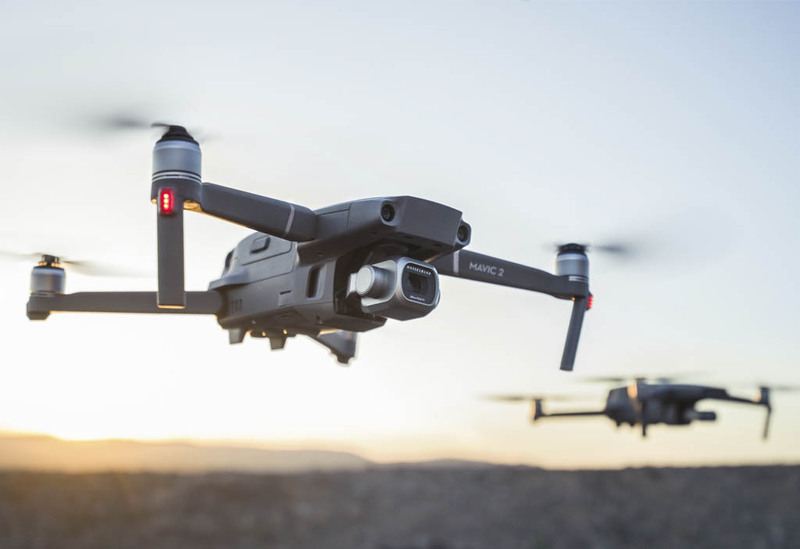 If you want more professional information and advice, check out the great article from DJI themselves called Mavic 2 Pro vs Mavic 2 Zoom: Which One Should You Buy? Since I’m a spare time photographer and use my camera drone mostly for taking pictures, I will probably choose Pro 2. Check out my Instagram and Flickr photostream if you want. I have a YouTube channel an occasionally record a little bit of video, but most of the time I don’t spend time on making something cool with the footage. Both quadcopters are obviously suited for both genres and can record video in 4K. I suppose there will be tons of discussions, confusion, and frustration on which drone to chose. Interchangeable cameras could have solved it, but I guess that is not good for business. Let me know in the comment section which one you want or which one you have bought. So what are you waiting for? Order yours on DJI or check availability on Amazon right now. Use the shortcut buttons below. Please comment below if you have any questions, concerns or thoughts about what I will call the best drone for ordinary people at the moment. A proper review will follow in a while. The new DJI Smart Controller is expensive but amazing! Great job! I like the site a lot. The drones are great! Having a drone opens a completely new vision and horizons of making photos, exploring things and having fun. The site offers comprehensive info on drones! There are many types of drones available nowadays. Your info can help a lot to pick up the right one and to make a proper decision related to quality and overall use of drones! Thanks for sharing. The site is a great source for drones lovers and for all that need some special info about these devices!